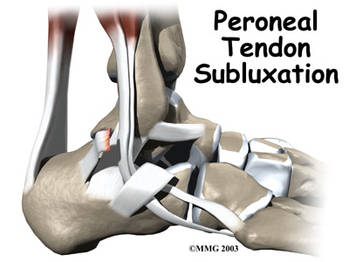 The peroneal tendons run along the outside of the ankle bone. Treatment depends on the severity of the injury. 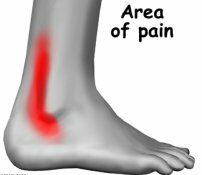 Symptoms include pain, tenderness or swelling along the side of the foot or side of the ankle. There may also experience weakening or instability in the foot or ankle. 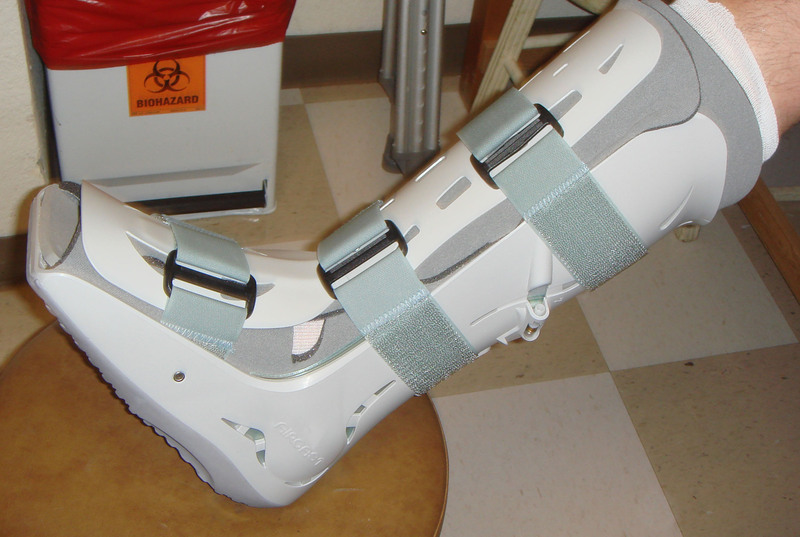 Radiography is the first-line study for excluding fractures of the lateral malleolus or calcaneus or arthritis. 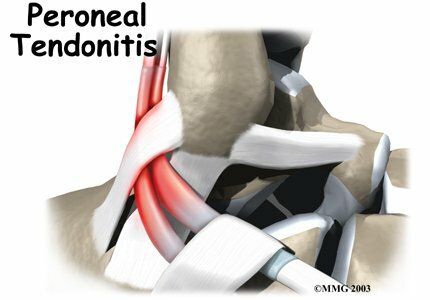 Magnetic resonance imaging (MRI) is the criterion standard for identifying peronea l tendon. Pathology. Ultrasonography is useful for detecting all types of peroneal lesions. In particular, real-time ultrasonography can be performed to assess dynamic stability. Computed tomography (CT) scanning is useful for evaluating bony irregularities and suspected fractures, particularly in the calcaneus. 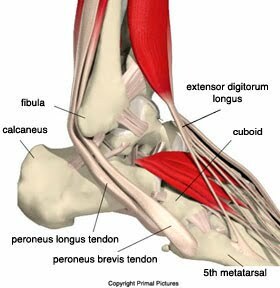 Treatment depends on the type of peroneal tendon injury. Physical therapy . Ice, heat, or ultrasound therapy may be used to reduce swelling and pain. As symptoms improve, exercises can be added to strengthen the muscles and improve range of motion and balance. Surgery may be needed in some cases. It can help to repair the tendon or adjust support structures of your foot.